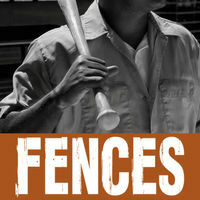 Next Level Productions is now accepting video auditions it’s Houston production of August Wilson’s FENCES. The play will rehearse and open in North Houston. All roles are available and there’s a stipend paid to each actor for a two week commitment. Serious inquires only. Producers and Directors will contact actors personally to schedule onsite callbacks in Houston April 10th – 13th. If selected, all actors must be available for the full production schedule. May 7th – 18th, 6-10 pm. This casting notice was posted by: Next Level Productions.